It can be difficult to find a reliable company to repair your appliances and sealed systems. It should not be a quick decision; home appliances are a major investment. When you need your major brand home appliance repaired in Cullman, AL, you should remember Appliance Masters. 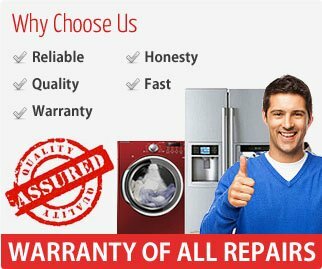 We have been repairing home appliances for over twenty years and have the experience and knowledge to repair your appliances, too. We have been successful because we offer our services day or night for the same service charge, and all of our work carries a parts and labor guarantee. When you call Appliance Masters, you can be assured that we will come quickly and do the job right. We will not leave until you are satisfied. Appliance Masters repairs washers, dryers, stoves, microwaves, refrigerator compressors, ovens, garbage disposals and more. We work seven days a week, twenty-four hours a day. We understand that when something in your home is not working you need it to be fixed quickly, so that your life can return to normal. Appliance Masters also installs home appliances. So, if you have purchased a new appliance and want it to be installed correctly and safely, call us and let us install your appliance with the same guarantee that we give for our appliance repairs. We can take care of all your appliance repair and installation needs in Cullman, AL, and we will take care of you if you give us a call, whenever you need help. 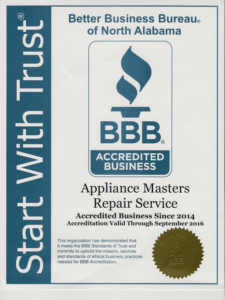 Finding an appliance repair company that you can trust is difficult, but if you call Appliance Masters when you need an appliance repaired or installed you will be satisfied with our professional service. So, no matter if you need a freezer fixed or a stovetop installed, Appliance Masters should be your choice in Cullman, AL!